Imagine you’re in a game with one objective: a bestselling product or service. The rules? No marketing budget, no PR stunts, and it must be sustainably successful. No short-term fads. This is not a game of chance. It is a game of skill and strategy. And it begins with a single question: given competing products of equal pricing, promotion, and perceived quality, why does one outsell the others? The answer doesn’t live in the sustainably successful products or services. The answer lives in those who use them. Our goal is to craft a strategy for creating successful users. And that strategy is full of surprising, counter-intuitive, and astonishingly simple techniques that don’t depend on a massive marketing or development budget. Techniques typically overlooked by even the most well-funded, well-staffed product teams. Every role is a key player in this game. Product development, engineering, marketing, user experience, support—everyone on the team. Even if that team is a start-up of one. Armed with a surprisingly overlooked science and a unique POV, we can can reduce the role of luck. We can build sustainably successful products and services that rely not on unethical persuasive marketing tricks but on helping our users have deeper, richer experiences. Not just in the moments while they’re using our product but, more importantly, in the moments when they aren’t. View more presentations from hebel. Project retrospectives help teams examine what went right and what went wrong on a project. But traditionally, retrospectives (also known as “post-mortems”) are only performed at the end of the project — too late to help. In organizations where teams develop using iterative, incremental methods, Agile retrospectives at the end of each iteration or increment stimulate continuous improvement throughout the project. Exceptional software process and project improvement grows out of solid data and good planning. Book Review: Agile Java Development with Spring, Hibernate and Eclipse. 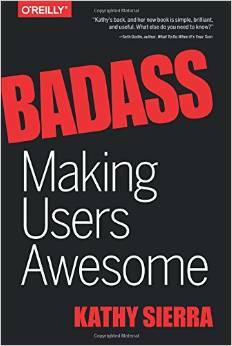 Overall I did like this book and think it is useful to a particular set of developers out there. It was readable despite the asides and the process is pretty sound. It is presented informally rather than in some sort of textbook format, which is a plus in my opinion. Some areas could have been expanded upon, such as refactoring and the advanced Spring and Hibernate pages. It had simple, working code examples to help those new to the topic, and the text was well written overall. Although useful as a guide for using these Java tools it didn’t answer my questions as to whether Java was as Agile as any of the dynamic languages, but the free toolsets do make it a lot easier and more agile than it has been.